The earlier stage your company is, the less you are able to make any reasonable projections, let alone what key assumptions are for your financial model. Investors don’t invest in numbers as your forecasts will be certainly be wrong, but your thinking in how you came to them is what is worth backing. “No Battle Plan Survives Contact With the Enemy. Like any great news article, the why is more interesting than the what. You need to realize that the financial model you are making is meant to be the actual plan you intend achieving with the funding your receive. That’s, right, the numbers need to be your actual plan and you will be expected to hit them. So if you approach your financial model from the point of view that everyone in your team needs to contribute to making that plan a reality, you will see this whole exercise in a new light. For pre-seed/seed companies I have never asked for a financial model and I am unlikely to in future. If I am sent one, it’s the area I spend the least imaginable amount of time in. Why? I’ll address that later. Founder flags: How much are the founders planning on paying themselves. If I see $10k a month then I know these are probably not the guys for me. Logic: How structured are you in approaching the business? How have you set out the financial model? It says a lot about how you will approach building the business day in and day out, solving each and every subsequent challenge. Focus: Are you focused on the right things and only the right things? Do you know what is important and what is material? Ratios: Are your projections scaling outright in terms of proportions? As revenue goes up, how do costs proportionalise, including do you factor for economies of scale and learning? How do things look at your terminal point? Rationality: Are the numbers somehow logical? At the top line, are you being optimistic or are you flat-out lying to get money? If you are completely unrealistic I will have to just assume everything you say is going to be taken with a ladle of salt, which is not the ideal foundation of a long-term partnership. Experience: Does it look like you know how to run a business and what it will really take? One easy way to tell is the number of staff that will need to be hired, which is normally far too low. Ambition: How much money do you want to make? How big are you thinking? Is this a VC fundable business? You say you want to build a big business but does that reflect in your numbers? Homework: Do you know anything or everything about your vertical? If your background is not in the category, have you taken the time to learn everything conceivable about it? Are you numbers based on the heuristics and market stats you know or researched? Traction: What have you actually achieved and what numbers do you actually have. Being data-driven is important, but I want to see you are already tracking and accumulating those numbers. This is a much faster exercise than you might actually think and regrettably less valuable too. I could tell you it is because I am an excel nerd and so know what a good financial model looks like or some other reasons based on knowledge, data-sets and experience, but the true answer is, what I want to see and should be in there, isn’t. I can tell this is an exercise for fundraising and not something that will be used operationally. So what should be? Your financial model should be a reflection of your business model and the milestones you are going to achieve with the round of funding you raise. It is the basis of how you hire and how you track staffs’ performance. Basis of projections should be what you have actually achieved to date. I want to see your baseline and how these are going to get better. I want you to know how they will get better and why. E.g. We need to hire an SEM guy, we have done ourselves to date, but we have tapped out our current capability. We expect the conversion to increase 10% month on month for 3 months after a hire etc. How your business model will work, given your current assumptions and comprehension. You may not know your ideal pricing model, but you are making assumptions of how your business will succeed based on current assumptions of what you think is possible (Ideally supported by customer validation). The numbers that you will use to track the performance of your business weekly and monthly. These should actually translate to the actual targets you give you sales team to acquire merchants each month, or marketing team for CPA, CPM etc. How the financial model flows, how you came to projecting numbers and the driving assumptions are critical. Your logic doesn’t have to be perfect and it can be flawed. Intellectual honesty is super appreciated! Saying ‘we thought about a better way of representing our conversion but we just don’t know enough and it’s something we would like our investor to help through’ is a super attractive trait. It shows you want to learn, that you don’t have an ego and know what you don’t know you don’t know. Those kinds of people succeed because they learn faster than others. Also, the financial model can serve not as static FYI, but a real basis for conversing about how you will build the business. How you know you have made it and are making it. These are short-term as well as key ones. As you go on they get loftier, but they start small and achievable. 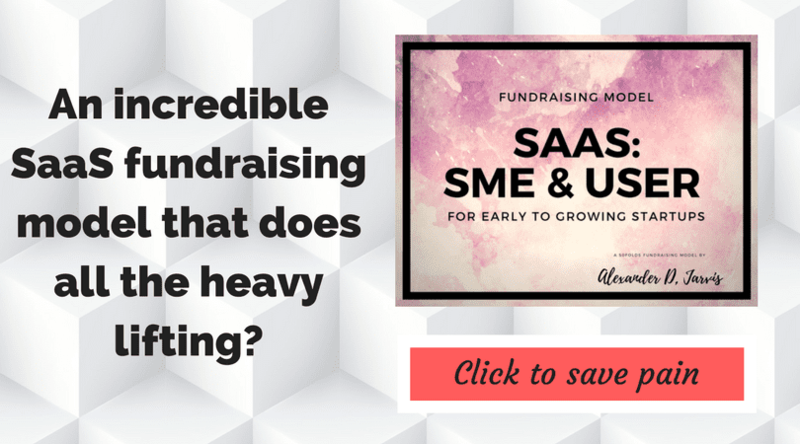 The key ones I need to know are what will be delivered for when you start your next fundraise. I will blog about this, but as an early stage investor, my OKR is getting you to the next round of finance and we need to agree you can raise your targeted next round with those milestones. The market is always going to be a ceiling and so an excellent contextualization of your business and achievements. Setting out the current market size as well as your forecasts for it’s (hopeful) expansion enables your numbers to be seen in very different and meaningful light. Your base case is a case and not set in stone. Everything in your business is linked, so think of assumptions like a dial, which can be scaled up and down. If you increase your number of SKU or listings you need more salesmen and buyers, your conversation rate might increase so you will generate more revenue, you also may then incur more COGS, or need to apply more marketing spend. What numbers matter and what don’t; do you know? What creates value and growth and what is a distraction? Are there any levers that may double results and what happens if they are half as effective? With the biggest impact variables, what are the factors that determine their success and if not, how will they kill your business? I want to understand what is going to drive significant value and that you are clearly focused on making them happen. I also want to know you know what will kill your business and that you are at least aware and ideally will take steps to mitigate the risks. A great example of this is for a low margin business such as say a marketplace where you make a few $ per transaction and may not have multiple transactions per year (i.e. Low LTV). Your CAC will make or break the business. You need to keep your costs low and attempt to increase your revenue, which whilst obvious is easier said than done. The point is ergo, are you aware that CAC and LTV define whether you will succeed or fail, do you have boundaries for what is acceptable on acquiring customers? Fundamentally, I want your assumptions to be clearly labeled. If you know the basic excel etiquette of assumptions having blue text in a yellow box at the top of the page, we are off to a good start. If you create base, upside and down cases you are a pro. Knowing ranges of values of what is reasonable surely illustrates you know your business and being able to reference your numbers against benchmarks is golden. Most fundamentally, I want to know how you came up with those numbers and why they are important. How are the key drivers connected? How does scaling one driver affect another? From the drivers, what are the KPI you are going to have a maniacal focus on? Iterate your financial model around these and be happy they can be achieved when you give them to your sales team. The whole financial model needs to be targeted to your key objectives. 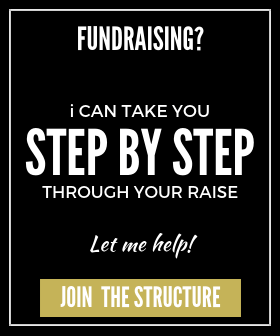 For example, your base case has to deliver your milestones to be achieved for next fundraising round. 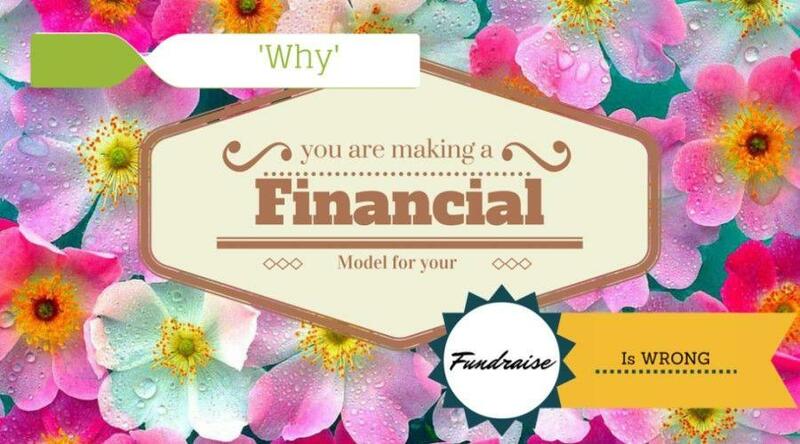 Your financial model needs a reason for existence such that it is not filed away once you raise money. You have to know the key assumptions that underpin each part of the model. If your sales team can only onboard ten merchants a month, that is a key heuristic. If you want to scale revenue, you know a 20% increase results in 100 more listings and therefore 10 more sales staff. This is all about having mastery of your business. Your model is wrong and it will change. You need to be able to quickly make changes in assumptions. Ideally, you should be able to be on a call and make changes ‘on the fly’ and be able to see what the implications are immediate. Building in flexibility takes more time, but you have to. If you have a flexible financial model and make adjustments you need to understand the implications of that against a benchmark to create meaning. If you have market stats to compare achievement such as % of the market, increasing revenue forecasts means you get 2% of the market instead of 1% and can get a feeling if that makes sense of not. You need to build your financial model from the status quo and adjust from there. The money you raise should enable you to make improvements from this point in time and not using imaginary market benchmarks you haven’t achieved. If you are going to double traffic, you need to know how you are going to do that, and that means by doing something tangible. Don’t assume numbers typed into a spreadsheet are real and not subject to change. You need a paradigm of validating everything. Kill your darlings regularly. Your model has the potential to get big but seriously resist that urge as much as possible. If you are focused on the key drivers you can leave out incidentals. Having said that your model will be a reasonable size so you need to quickly be able to view the outputs of your calculations and assumptions. This means simple dashboard summaries of your KPI and milestones, as well as the ratios and contextual benchmarks to give them meaning. At the end of the model add-in sensitivity tables around all your key assumptions so you can easily see the range of outcomes that might happen. By viewing these you can get a feeling for what changes in your key variables will mean to your business model and milestones. Once you are happy with your model and agreed on the ‘business plan’ with investors, this model is your bible and staff will need to know what to do. The model needs to translate into KPIs. You could actually have tabs that output staff KPI on a monthly basis and track them against achievement. One way or the other, just realize that staff needs to deliver on them, so they have to be stretch-achievable. If you do a great model, as an investor, I could imagine me spending more time in your model than in your deck because it would really reflect the business and the founders. We would be able to discuss the drivers of your business and how we can work together to achieve them. More so, if you truly understand how your model can beneficially impact how you think about your whole business and your approach to building it, you will take the entire exercise commensurately more seriously. Building one of these things is a pain, but if you truly appreciate the why, you might just enjoy it and generate real business value. 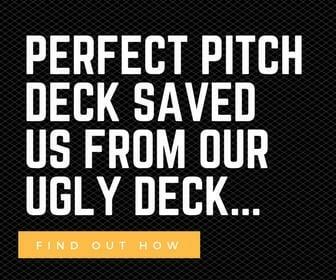 Want to see a 100 pitch decks? And congrats on getting T’crunched! This is a great article that critically addresses key points when looking at a business model! Great insight for me wearing 2 caps – as an investment analyst by “day” and an entrepreneur by “night”. Now the challenge for me is to build a robust model as described by you! Thanks for sharing! Thanks Ang Wei. Models are a bit of a pain to do, but forces you to think through the key drivers of your business critically. Hi Alex, what do you mean by this? Is $10k too much or too little? At what stage should founders start taking a salary? Hi Troy, At pre-seed/seed stage, founders shouldn’t be paid more than $3.5-4.5k p/m. When you are at S-A it’s fine for that to go up (assuming you raise a decent amount). The rationale is that founders have significant equity in the company and that is meant to be the incentive. Most investors like to keep founders hungry too, so they knock it out of the park. Founders should take just enough to not be worried about paying rent (ie Stay focused) and buying the team an occasional pizza etc. Founders who attempt to use funds raised at early stage to pay themselves large salaries (i.e. 10k p/m) display naivety. Tom, sorry missed your comment. $10k pre a large A or at B stage is too much. If you ask at seed or pre-seed it’s not good. Investors don’t want you ‘comfortable’ as they want you hungry for an exit which they participate in. It’s like they are allergic to the idea of you becoming a life-style business. It’s fine to take a 3-6k salary (depending where you are) post funding. You need to pay your rent and have enough to focus. Focus on execution is key. You shouldn’t have a salary pre-funding because you are bootstrapping, right? Equity remunerates you. I think is unreasonable to not have a base ramen salary post funding, personally. Some would disagree, namely certain angels, though they are likely more ex-bankers in my experience. But, the money you raise is paying you and not for marketing and hiring devs, so you are conflicting yourself against growth, right? It’s important to realise the equity you hold is remuneration, albeit unrealised yet. You hire people below market as you give equity- so you are the same. And you need to lead by example. If you in a situation where one founder has family and other doesnt, you can reconcile by giving one founder more salary and other less, but equating with commensurate equity. You wrote that “Intellectual honesty is appreciated,” only make projections based on what you have to date, and to know everything possible about your space. We know that the data compiled from users is/will be a valuable resource in the healthcare space. But, since there are, basically, only two companies that have traditionally supplied this sort of data to pharmas, etc., we have no way of really knowing what is critical mass that will make our data valuable or how to price it. What are your suggestions for handling this scenario? TL;DR: Talk to potential clients. Ask how much they would pay for the idealised data future. Ask what level of data would become meaningful. Ask. Implicitly I write about early stage, not S-B, so fundamentally is more inductive/deductive reasoning to a logical, defensible conclusion than science (actual extrapolation on known knowns). Your model is about demonstrating in a structured manner, with what you know from your status, from your competitive analysis (tangential of direct), you imagine the world to be, or could be. It is about the strength of your defense that matters, not the actuals. I posit it is ok and beneficial to say you know you don’t know what you don’t know, and this is why you don’t know, but here is what we do know and why. Data as a b-model i don’t like. I discount this channel to zero whenever it is included. VERY few businesses make money from it and at particularly scale. Fourquare is now doing a data play having failed in other avenues, right? It wasn’t their first choice. The downround reflects this. I assume you are early stage? Imagine the world when you are there. That you have it. Can you talk to potential customers and ask them what they would pay? Average the numbers you can get through the CDM process then multiply by hypothetical number of customers to get market size. So you can assume if you get to the undefined tipping point this is the potential. Is it a prize worth winning? If so, how do you get there? 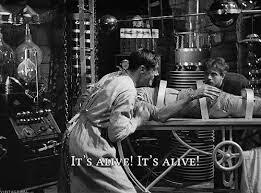 How can you stay alive long enough without potential rev sources to attract life support VC funding to get there? Do you do something different in short and medium term to get to the promise land you would like? Bait and switch. You may need to do things to survive till you get to the destination? Without details, i bet its going to take time to get to there and a direct path may not work. Why are there only 2 companies that are in a position to offer the data? There are several other revenue streams with the main one being a recurring monthly subscription. Personal Health Cloud is a consumer-centric platform that puts users at the center of their health data. We’re breaking down data silos, making health data portable, etc. There will be several ways to monetize aggregated, anonymized data. the example I alluded to is just one of those scenarios. Cool, get it out and get feedback. You never know until someone actually writes you a check. “Yes, i WOULD” is different to did. Exactly! This raises another question. Do investors actually assign any value to LOIs? I’ve heard so many pitches where they note that they have “signed LOIs” from x, y, and z.
Evey weekend i used too pay a quick visit this web page, for the reason that i wish for enjoyment, as this this web page contains genuinely nice funny stuyff too.